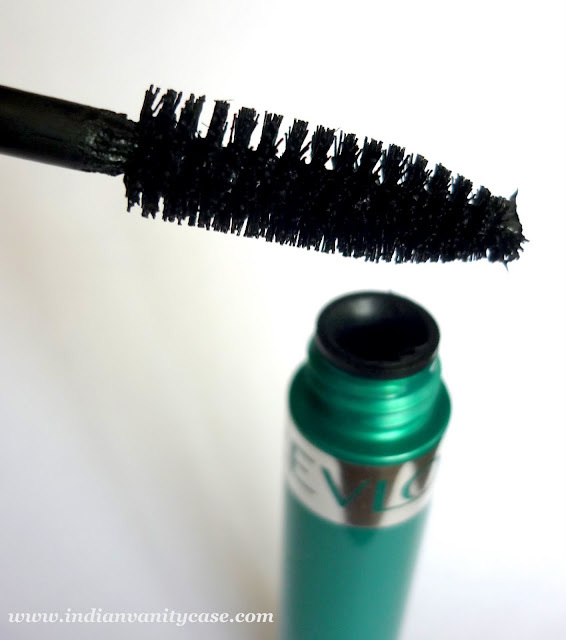 Indian Vanity Case: Revlon Grow Luscious Mascara ~ Helps Eyelashes Grow Longer? 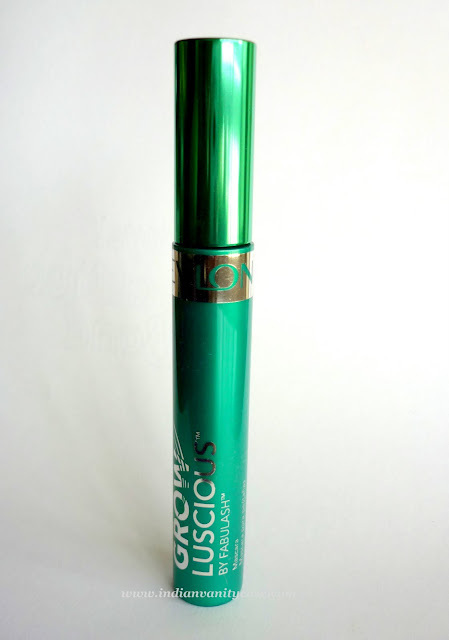 Revlon Grow Luscious Mascara ~ Helps Eyelashes Grow Longer? The first Revlon mascara that helps lashes grow stronger while visibly adding length and volume. -Lash enhancing formula complements the natural growth cycle of your lashes, improving their overall appearance and conditioning with each use. Claims ~ 96% saw instantly longer, more lush lashes. The brush is big, which has it's pros and cons- coats lashes evenly & quickly, but smudge easily. 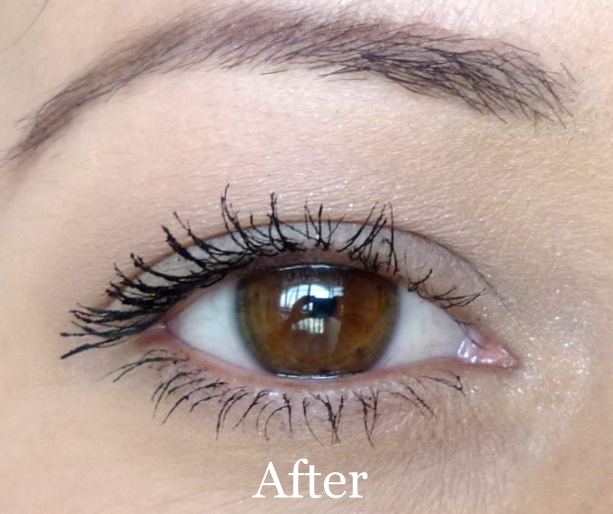 The mascara formula is just right- not too wet, just the way I like it. 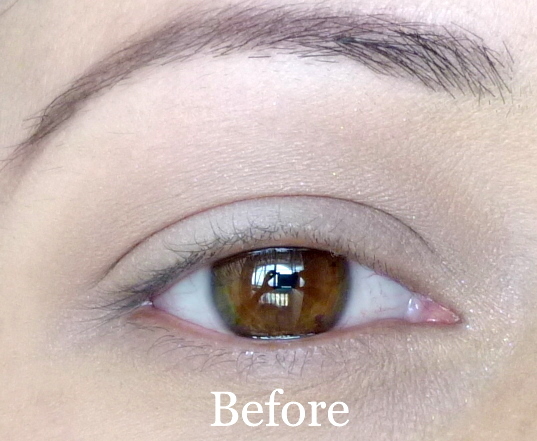 I thought the formula was going to be gel-like and would only moisten the lashes, but I was pleasantly surprised at the amount of volume it gave my lashes. Will update in a month or so, to show you if my lashes grew. Will compare to the same 'Before' photo up there. Fingers crossed. Disclosure: Product sent by company for consideration. Honest review, as always. But it looks very clumpy up close and looks like it will feather away. Did you face any such problems? Laleetah- That's very sweet of you to say! Thanks a lot. U made my day too :). I'm glad my blog helps u. Adding some color is always nice :). Great that this mascara works on u..I hope mine doesn't dry up so soon. Rajeshwari- The shot is taken so close that every lash is magnified, that's why it looks like it's clumpy + my lashes are so thin & no liner so, obviously, they don't look so neat. The effect is quite dramatic..
the difference is quite noticeable !!! hey i luv ur blog,its extremely helpful .I just wanna knw whether this product has been released in INDIA or not?coz i searched but cudnt find! did your eye lashes ever grow?